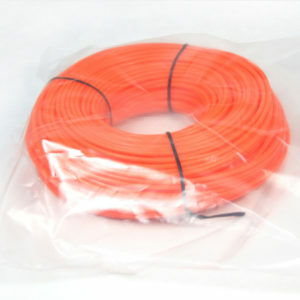 We’ve been manufacturing string trimmer line for many years in China. There’s high-performance trimmer line for every operating condition. We manufacture all types of trimmer line in commercial and professional grade: Round Trimmer Line, Multi-Sided Trimmer Line, Serrated Trimmer Line and Twisted Trimmer Line, each designed for a different type of cutting application. 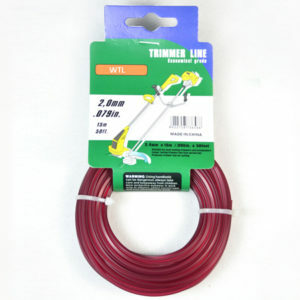 Gorgeous Group has a large selection of replacement trimmer line for string trimmers ranging from .040 to .155 inches (1.0 to 4.0 mm) in diameter. 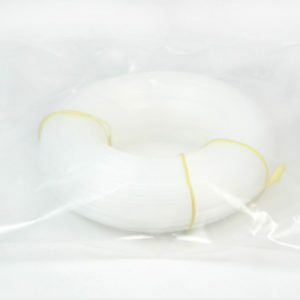 We manufactures trimmer line using durable nylon materials. 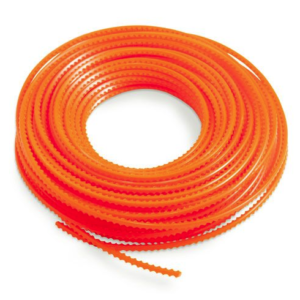 Our mission is to provide the quality String Trimmer Lines & Spools with the best prices for customers. Trimmer lines also come in different shapes, but the shapes aren’t just for looks. Trimmer line shapes change how efficiently a trimmer cuts and how it cuts. Generally, the most common trimmer line shapes are round, twist, square,diamond, star, six-sided lines and so on. Trimmer line with edges tends to cut more strongly than round lines, but it also breaks more frequently against harder surfaces. Round trimmer line is the most standard type and the most commonly used, which is less resistant to breakage, but it tends to tear grass more than other types because it lacks cutting edges. 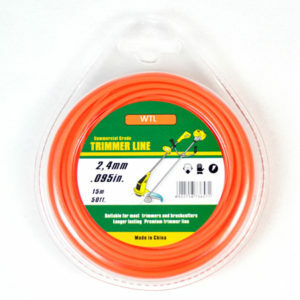 Twisted trimmer line is an improvement upon standard round line. The twisted shape gives twisted trimmer line a bit of an edge in comparison to round.Trimmer line shapes that have edges are sharper. The edges that square and 5-point trimmer lines have allow the lines to actually slice through grass and weeds. Serrated trimmer line has sharp peaks along its edges like a saw or kitchen knife, exposing more cutting surface for extra cutting power. Multi-sided or edged trimmer line (square, 5-point or 6-point) always leads with a cutting edge to easily cut dense grass and weeds, more edges create more cutting power. It’s best for users to try a few and use what works for them. It’s important to note that using line that has more cutting power (edges) can sometimes take a trimmer user off guard. The cutting edges can make the line “grab” vegetation a little more than round and twisted line. That grabbing action can actually pull the trimmer down toward the ground, so users should be prepared to offer additional resistance. 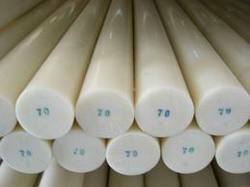 Trimmer line diameter is pretty straight-forward: the heavier the application, the thicker the diameter. Not only will a larger diameter increase the cutting power of the line, it will also increase its durability against thicker grasses, weeds, and brush. Each trimmer or trimmer head will normally only accept a specific range of line diameters, so it’s best to check the user manual before setting out to buy replacement string for the first time. Light Work: .065 inches – .080 inches, good for residential front and back lawns with lighter weeds. The small jobs around the house. Medium Work: .085 inches – 0.105 inches, good for larger back and front lawns or lawns with heavier weeds and light commercial work. It is perfect for your bigger gardens where you have bigger weeds, and is often used for commercial areas as well. Heavy work: 0.110 inches, good for Industrial landscaping, large estates,large yards, huge gardens, golf courses and other areas that need a large amount of trimming.